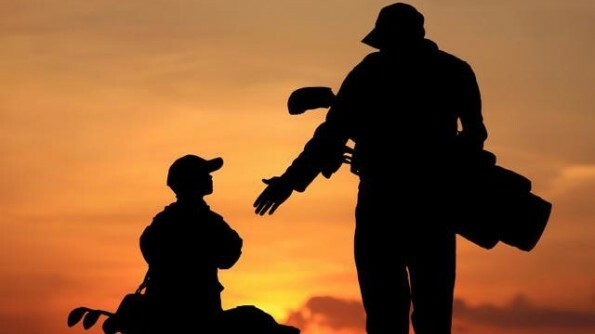 Observing my 11-year old son grow up in the game of golf is such a wonderful gift. As I watch him traverse the golf course, it brings back my own childhood memories. My son is lucky; his poppa plays golf and is a golf professional. I did not have such a luxury as a kid. While my son has been playing golf since he could walk, I started relatively late – the ripe old age of 13. It started when I found a broken club in a trash bin. A little duct tape and voila, my journey began. I grew up in a large athletic family; however, nobody in my family really played golf. Later, I found out that my grand poppa had been a scratch golfer in the 1920s. He had also played college baseball and once played against Ty Cobb. I never knew him as he died years before I was born. My journey was solo. I learned it on my own. I first learned to swing a club by hacking old golf balls in the neighborhood. I went to the public library and checked out many golf books, one being by the legendary Tony Jacklin (1969 Open and 1970 U.S. Open champion). I did everything he said to do in that book. Later in life, I had the pleasure to meet T.J., and now I call Mr. Jacklin my friend. I recently had the chance to introduce Mr. Jacklin to my son Gabriel. The torch has been passed! After I read all the golf books in the library, I decided I was ready. My pop dropped me off at the local muni golf course. I played about 45 holes that day! I was so enthralled that I went to the local private country club and cut a deal with the old pro. If I caddied, picked up balls and worked around the shop, I could hit all the range balls I wanted. Paradise! I shined shoes to make money to gamble with the older boys. I began to beat the older boys. Thus, I was off to my 30+ years of golf obsession. Like many who spent their youth around a golf course, I have a plethora of golf anecdotes, so many that I have decided to start to write them down before I forget. I think my golf stories have to start with one of my best friends, Bo. His full name will not be revealed to protect the innocent. I have known Bo since birth. I started golf before him, but he soon followed my lead. Before we discovered golf, we were formidable tennis players in the public park. No matter what sport he played, Bo had the uncanny ability to play well when he was angry. He was also good at every sport he played. The madder he got, the better he played. This naturally carried over to golf. Bo was frequently my teammate and caddie. He was also one of my first students and test subjects. I taught him the flop shot. He learned fast and soon possessed a Seve-like short game, which he exploited too frequently. We often amused ourselves by trying to hit flop shots over a 15-foot tall tennis court fence. We constantly tried to break the “world record” of who could get the closest to the fence and still carry the ball over the top without hitting the chain link fence. I will swear to this day that one night, Bo managed to set a high mark. He placed a ball about two inches away from the fence and somehow hit his old Ping Eye 2 sand wedge right over the 15-foot fence without touching a thing. (I later officially tied the record after many attempts.) Phil Mickelson would have been jealous. Bo had perfected another feat. He could hit a balata ball with his putter over 260 yards. This was done “baseball” style with a flick of the ball in the air and whack, into the greenskeeper’s shed. He frequently did this when he had a bad hole. Of course, he would then make three birdies in a row. To boot, Bo had probably one of the ugliest golf swings I ever saw. But he was a scratch golfer and fierce competitor. Later in life when I turned pro, he would caddie for me on the European Tour. What a team! So many laughs, so much mischief, so much joy (and a little heartbreak) the game of golf has brought me… and taught me.